Welcome to shopping with us ! Merax is happy to introduce this floor chair to you! 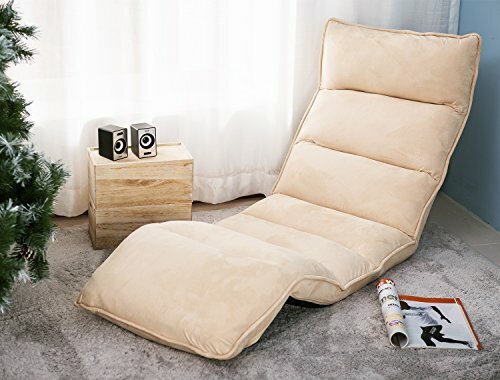 Made of Suede Fabric which is very soft to provide exclusive comfort for you.Constructed with mental frame for long time use, padded with soft sponge for comfortable use. This floor sofa is very beautiful and comfortable for any casual decor of your home. It is great for a living room, home office, or dorm room, this soft seat adjusts for watching TV, working on a laptop, or taking a catnap.